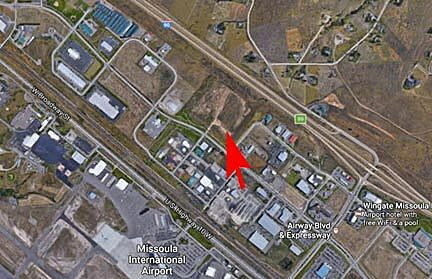 Missoula County has agreed to offer $1.47 million for this 18-acre lot between Expressway Boulevard and Interstate 90. Costco is also looking at the property. Missoula County commissioners on Wednesday approved spending $1.47 million in tax increment financing to purchase a vacant lot in the Missoula Development Park, though they may have a rival buyer in Costco. While Costco has neither confirmed nor denied its interest in the property, the county decided to move forward with making an offer on the 18-acre parcel, looking to subdivide it and sell the smaller lots for light industrial uses. The Missoula Development Park was formed in the 1990s and is nearly 80 percent occupied. The large parcel approved for purchase was initially sold by the county to a Canadian company that intended to build a hockey rink on the lot. “Based on the need and demand for shovel-ready industrial lots, we took this to the Missoula Development Authority board with a proposal from the county to purchase it with tax increment funds, then subdivide and sell those lots to increase the industrial uses in the development park,” Brownlow said. Brownlow said the asking price is roughly $2.6 million, and while the county is underbidding for the parcel, it’s leaving room for roughly $700,000 in additional costs to subdivide the 18 acres into 3-acre parcels. A county official who asked to not be named said Costco is also interested in the lot. Brownlow confirmed that Costco had been in touch with the county regarding the property. Costco had intended to build a new and larger store off Broadway just west of Reserve Street. The proposal drew fire from some nearby residents who feared the new store would generate additional traffic through their neighborhood. Costco ultimately withdrew its application earlier this month, though it’s now looking at property in the development park, which is located near Missoula International Airport. 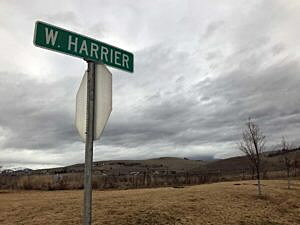 Regardless of what the retailer does, Commissioner Jean Curtiss said the county’s offer to purchase the parcel and get it developed was a good move. The county has roughly $2 million in tax increment financing to spend within the district.